There is no disputing that obesity in America is still very much of an issue; especially with cases of childhood obesity. The USA ranks #5 in the top 10 list of countries with the most overweight kids. * Although this has been a drop from #1, it is such a disappointment after all of the years of experts trying to increase obesity awareness, benefits of clean eating and exercise, and reshaping the health of families. It is also sad how damaged economies and Western influence is hurting the health of children in the world. Aren't some of the countries on the list shocking? It is not that the experts lied to us about the health benefits of eating Mediterranean or Asian diets, it is that the a) economy, b) lifestyle changes (more work, less active), c) quality of food (eating more processsed / fast foods / junk food) and / or d) larger food portions are the issues dependent upon region. I have marked each country with the reason (either 1,2,3 or 4) so that you can see the reason why the increase in child obesity. Every so often someone will ask me if an overweight child can take Skinny Fiber. For example, here is a recent inquiry from my Facebook page messages: "A girl of 12 years old having weight 86Kg and height about 5 feets. How much she can reduce her weight using Skinny Fibre and how to use it?". Although there are pre-teens and younger that take the all naural product, questions like this leave me feeling kind of torn. This is because children that age (usually pre-teen) are approaching or have started puberity. They are prone to gain about 10 pounds a year and usually slim down naturally moving into the teen years or when we limit the foods with sugar / refined starches (not completely take away all they like) and increase their physical activities. This is how it was for me, my children, friend's kids and statistically - if you research other information on puberity and weight gain online. So, it is hard to support any weight loss products for prepubescent kids with that in mind. Yet, as a parent, I understand how extremely difficult it can become to help kids eat healthy in general, as well as control physical activity. Some schools have removed recess from their schedules and made gym class an optional elective. In other cases it is hard to control what children eat at school, church, friends homes, etc. Where a parent will usually get support for a child that has a documented health issue such as diabetes or high cholesterol, teachers and other adults are often less supportive for kids that do not have medical food restrictions, though are obese; especially when they are providing treats to a group of children or as rewards. Another scenario includes Grandparents or other family members, childcare / after school programs, that feed our children what they see fit and sometimes as much as the kids want to eat, too. 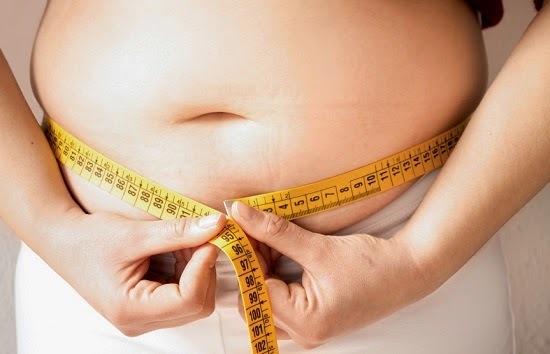 Overweight / Obesity is not considered the same type of health issue that warrents change until it leads to a potentially fatal disease or a child starts developing behavior issues from the results of how others respond to them (i.e. teasing / bullying). There's a catch 22 in helping kids retain healthy lifestyles and not become overweight ... Some kids struggle far worse then adults with weight issues. All of this is why there has been more and more mention of child obesity issues when reading the obesity statistics in general. There is an increasing child obesity epidemic. Skinny Fiber can help with a lot of the issues that are causing weight gain in children and adults: overeating, lack of fiber, sluggish metabolism and energy, etc. For this reason, I am delighted to represent a product that can serve such a vast range of ages. On the other hand, I am a bit conflicted by whether children under high school age should take Skinny Fiber and / or participate in the Skinny Fiber teen weight loss program. Yet, some younger children have experienced creditable results from the challenge with the help of their parents. It is beautiful to see their smiling faces on the before and after weight loss pictures. Why Do Some Kids Take Skinny Fiber? Kids dealing with some of the top obesity related diseases like child diabetes, high blood pressure, heart disease, cancer, high cholesterol or other health issues. Children who have been overweight most of their life (even under doctor's care) and are not losing weight on their own (with help of parents and / or other adults). This could be a physiological, behavioral, psychologial ... metabolic issues, too. Kids with constipation, GERD, Acid Reflux or other disgestive conditions. Children discriminated against, experincing peer isolation and / or bullied at school. There are other scenarios that concern medical professionals and parents about a child's weight problems / obesity, but the point being that there could be an issue where the ingredients in Skinny Fiber and being part of a weight loss challenge with motivation and support would benefit an older child. Ideally one should get it under control before puberity kicks in, but child / teen weight loss can be even more difficult for an adult to manage than even their own. For this reason, the Skinny Fiber Teen Challenge can help both the parents and child. This is the video introduction for the Skinny Fiber Teen Weight Loss Challenge. It's attractive to them and is right to the point; as is the program. There have been children from age 8 (with parent supervision) to young adult that have been benefiting from the all natural supplement. Each kids gets their own challenge website where they can track their measurements and weight loss progress, follow the health and fitness guides, and see how others are doing, there is potenital for better judgement and results for staying on track. Plus, it helps that there is the incentive of winning prizes, too. HOW TO TAKE SKINNY FIBER? It is suggested to take 2 Skinny Fiber capsules at least 30 minutes before 2 largest meals of the day with 8 to 16 ounces of water. Everyone needs to drink a lot of water while taking Skinny Fiber. At least 1/2 your weight in ounces of water is what the health professionals recommend for water intake. It is really important to make sure that children drink enough water with Skinny Fiber. As with any kid (no matter the age) parential support and often guidance is needed. This is for you to determine how much or how little involvement you need depending on your child's age. Mostteens just need a reminder, but YOU KNOW BEST. Since the product has glucomannan (swells in the tummy for the fullness feeling), it is important for you to decide from the beginning whether your child should take the capsules whole or you should open them and mix with applesauce, yogurt or in a smoothie each time. For example, I personally would not give a young pre-teen the capsules to swallow or even an older child that is hard to manage / follow instructions, they may not drink enough water to push the pills down completely because they are rushing or just don't want to listen about drinking a full 8 to 16 ounces of water. * Skinny Fiber is all natural, NO jitters, NO soy, NO gluten. * One of the enzymes is from the pineapple family; could be a possible allergen. * Skinny Fiber has gelatin capsules, though there is also a VEGGIE CAPSULE option. You need to tick the little check box for the vegetable capsule option ($2 more). * Although the FDA approves harmful prescription weight loss products (WHICH SKINNY FIBER IS NOT A HARMFUL WEIGHT LOSS DRUG), there are NO backed herbal supplements for adults except Alli / Xenical which is for age 18 and older (has side effects); and nothing for children. When considering any weight loss product for your child or yourself, you have to research the ingredients in products that you are considering and I recommend that you choose natural / organic options. You should always discuss with a doctor before giving to your child or taking yourself especially if a diagnosed health issue is involved. * Side effects: can cause bloating if not water is drinken. Please feel free to Contact Me directly with any questions you have when considering Skinny Fiber for weight loss.